Inspired by the American tradition of Alan Scott’s wood-fired masonry ovens and the sourdough revival, Gordon built the Tracebridge oven with bricks from the old Gun Shop in Wiveliscombe which he swapped for an iron bedstead. He built the shed beside the oven with recycled doors and windows. Gordon's experiments with sourdough soon gained a local following – people who enjoyed, as they said, ‘Proper bread’ and those who could eat Gordon’s bread, but none other. 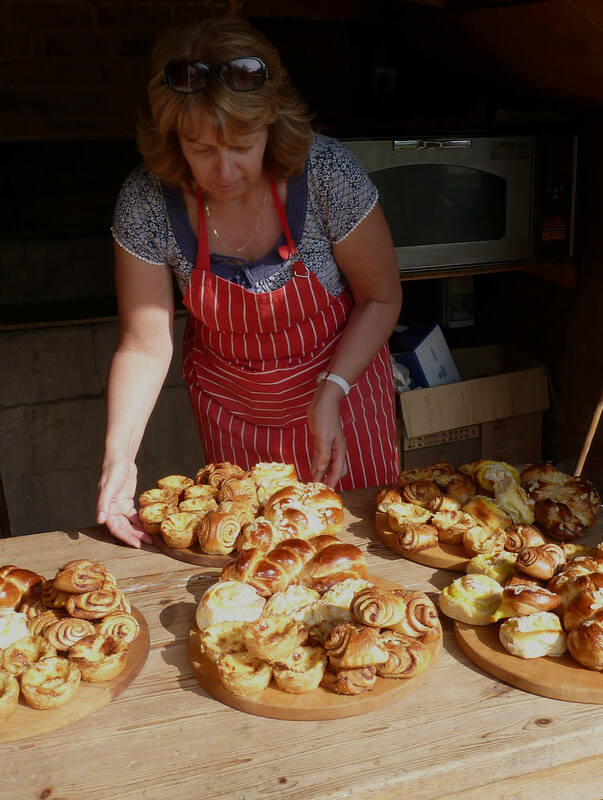 Katie joined him in the business making patisserie and cakes including the famous Appley Bun, invented for the re-launch of the village shop at Appley. 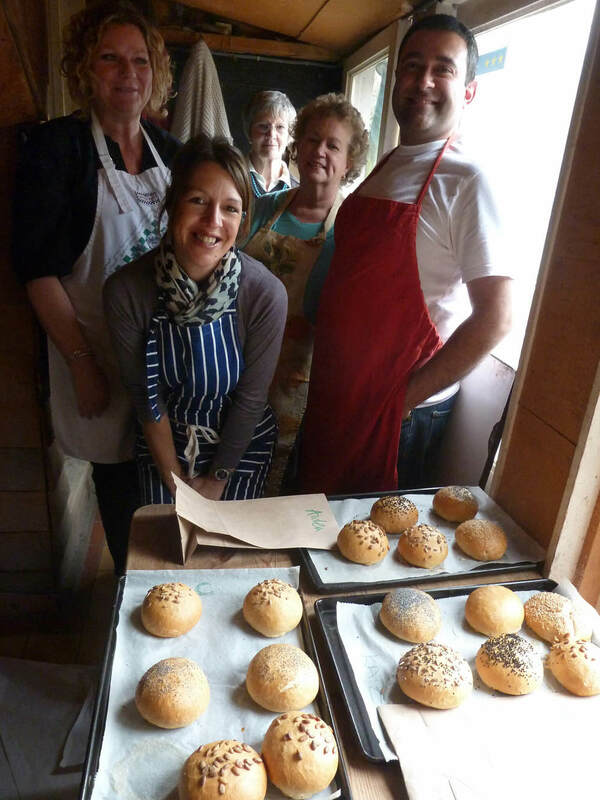 Our classes take place in the bakery, which accommodates a maximum of six people. Classes include a delicious vegetarian lunch. All our basic baking classes cost £99. Our Advanced Sourdough and Viennoiserie classes are priced individually based on smaller groups or longer days. Make sure you leave room in the freezer for all your bread and pastries! Taught by Adam Lawrie and Fleur Hoyle of White Post Bakery, two experienced bakers who specialise in sourdough and more unusual grains. Adam and Fleur were our apprentices and have taken the art of sourdough baking to the next level. Fleur will show you how to make a range of croissants, danishes and pain au chocolat. Check our Classes page for next available dates. A day baking seasonal treats – Stollen, brioche, Pasteis de Nata, cinnamon and cardamom buns and cheese straws. Gift vouchers are available. Send £99 and your address and we will post one to you or your giftee. We offer up to 50% bursary for our Sourdough Classes to people baking in a community project or social context – please ask.